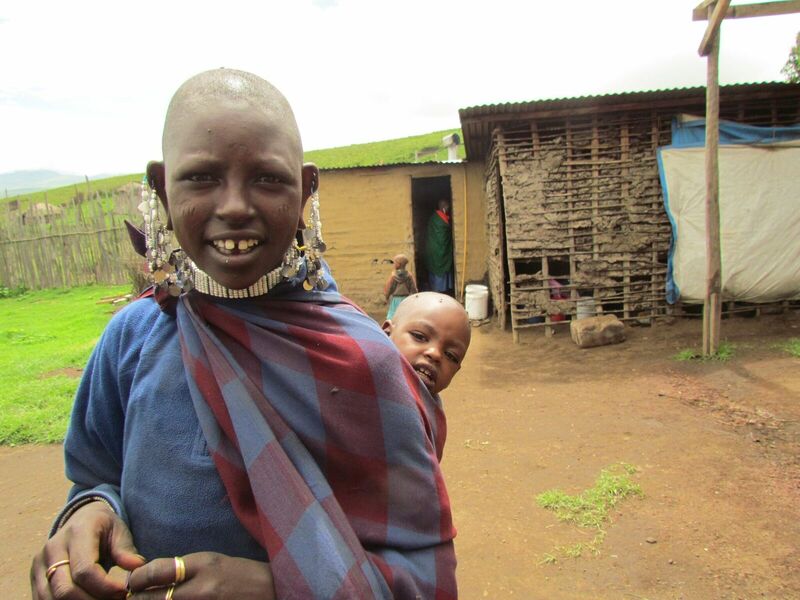 The people living in Mbekure’s boma are always full of kindness and smiles, often with babies in tow. 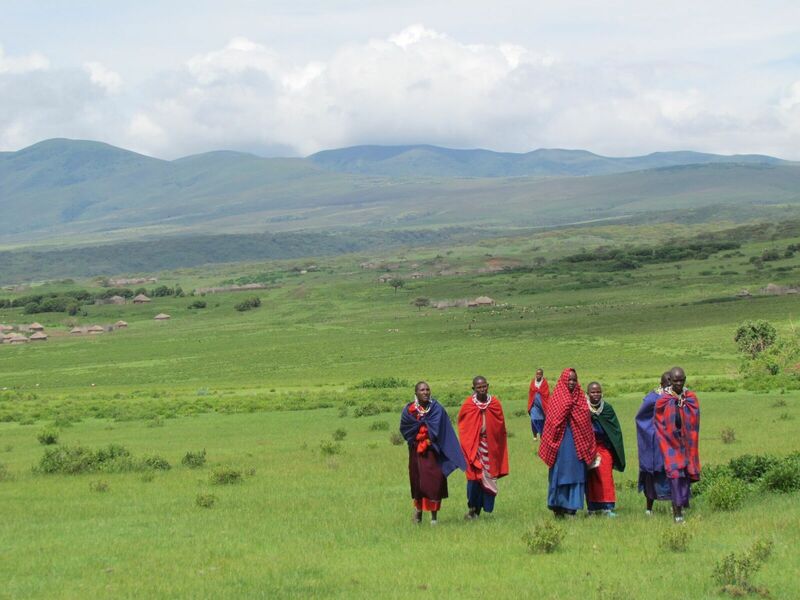 The world within the Ngorongoro Conservation Area seems almost surreal. There is an inexplicable energizing quality to the rolling hills speckled with bomas. During Judy’s latest trip to Tanzania, the Maasai Partners crew was able to visit our service villages and connect with members of the Maasai community. 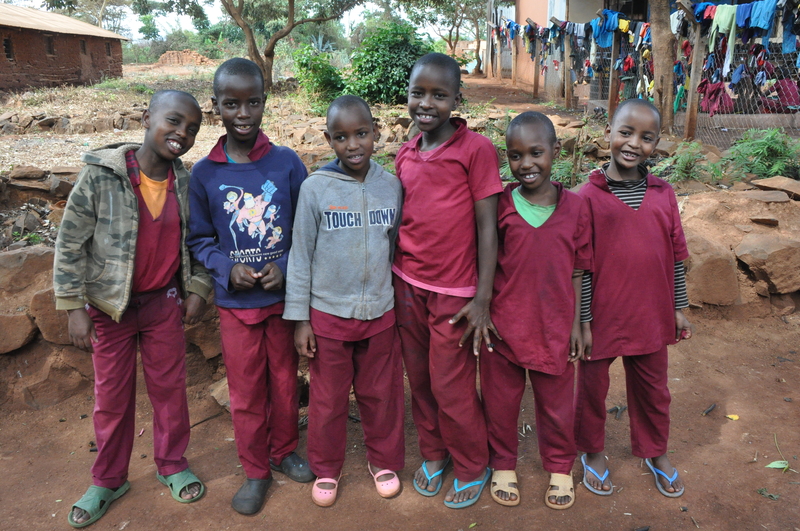 As we headed out from Karatu early morning, our car was filled with excitement. I felt as though we were embarking on a safari with Mbekure, MP’s local coordinator, as our trusted guide. As we drove up the side of the caldera, we were met with the breathtaking view of the crater from the rim. Looking at the vast space below, memories from my (MP’s Intern Margot Mattson) last visit to the village began coming back. 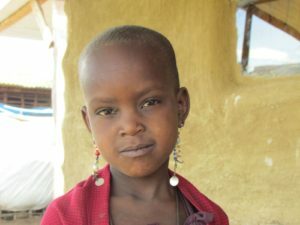 More than six years ago I spent two weeks staying in the mud huts of the boma with my Aunt Judy. 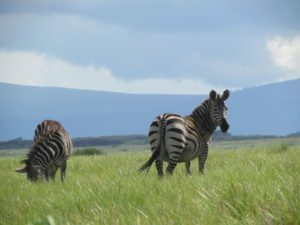 Zebra sometimes graze alongside cattle in Alailelai. Returning, even though years later, I felt similar excitement and wonder about this relatively untouched world. 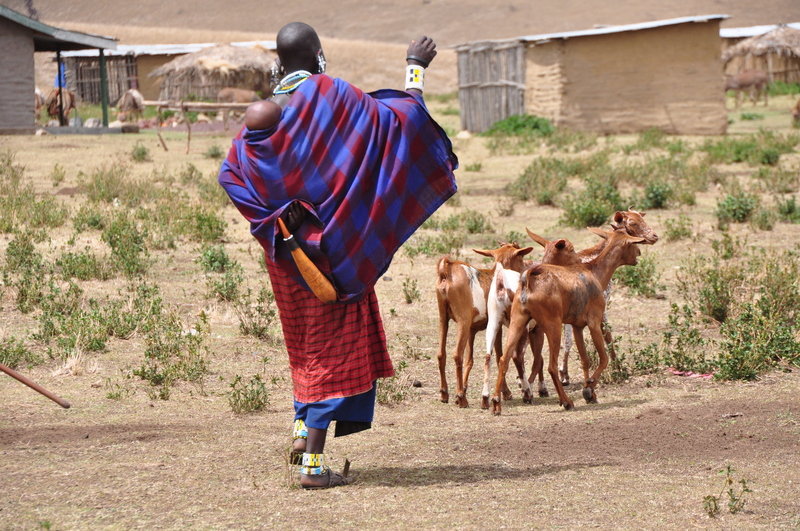 Although this time I was coming back as a member of the Maasai Partners’ team. We were jostled and jolted as we drove across bumpy roads away from the crater’s edge and deeper into the bush. The hills were lush and green. We drove by zebras and cows grazing together, small boys waving as they watched over their goats and women carrying heavy loads of firewood. Periodically Mbekure would stop the car to greet a friend passing on the road. After hours on the dirt road we made a sudden turn and began to drive into the open grass, descending the slope toward a collection of huts that make up Mbekure’s boma. The people we work with- adults and children alike- are beautiful and full of life. Here we were greeting by members of Mbekure’s family and children from all around. Before a cup of hot, milky chai (tea), I was able to see a Maasai Stove in action. The traditional Maasai stove consists of three stones and an open fire without any ventilation. I have vivid memories from my first stay in the village of sitting in dark, smokey huts, barely being able to breath and definitely not being able to see. It was incredible to see the difference Maasai Stoves have made in the kitchens. 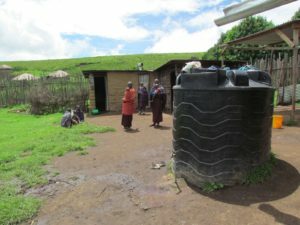 The new design includes a chimney to prevent the huts from filling with smoke, improving the respiratory health of women and girls tasked with cooking. Additionally, the covered designs conserve firewood and prevent children from being burned by the open flames. Mbekure installed a water cistern in his boma, in order to save rainwater and share with his neighbors in dry seasons. By returning to the village I was once again inspired by the strength and stories of the people I met. While life in the village can be difficult, it is a place of natural beauty. Life is a balance of tradition and the need for innovation in a changing time.